Organic petite diced tomatoes in puree shall be prepared from organic tomatoes that have been washed, hand sorted for quality and peeled. Sea salt and calciumchloride are added. 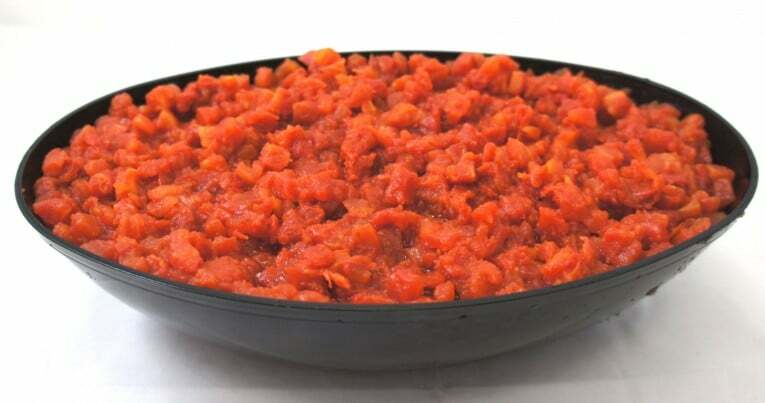 A rich topping puree made from fresh organic tomatoes is used as a packing medium. This unseasoned item is the perfect starter for homemade style salsas. extraneous plant material and objectionable defects. This item is cooked after sealing to ensure dice integrity and commercial sterility then cooled prior to stacking.